The divine couple are found as lovers often are, stealing a moment of serene intimacy in a garden of earthly delights. Yet their loving gaze and earthly rapture also speaks of bhakti, the mystical doctrine in which devotees seek unity with god through impassioned devotion. 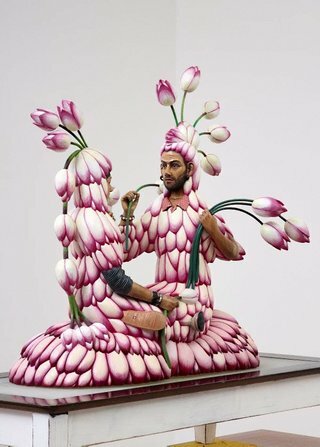 Do the lotus-clad lovers in Rodney Glick’s sculpture share this spiritual devotion? Glick, an Australian sculptor who lives in Bali, often works with the intricate imagery of the Hindu religious tradition. 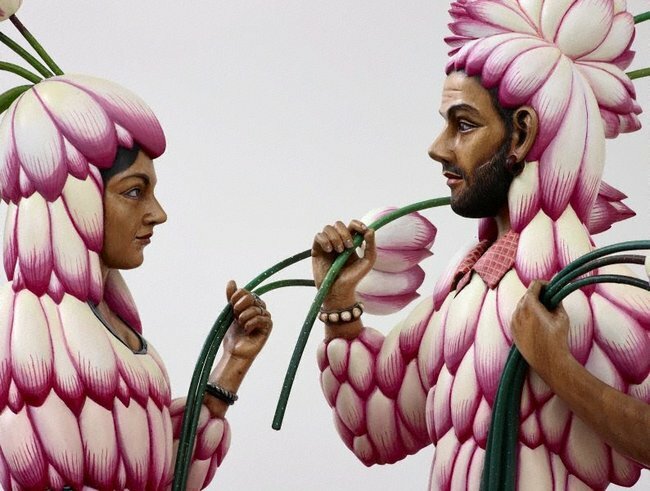 He found the inspiration for this particular sculpture in a popular Art Gallery of NSW exhibition from 2006 called Goddess, which featured a small painting of Radha and Krishna, pictured here. …I personally see Everyone no 83 as a very intimate, face-to-face embrace of two people. I don’t relate it to a bigger picture but as with all art many people may see this relationship as symbolic of a greater universal vision. What contemporary elements are present in Rodney Glick's Everyone no 83? Compose a design based on the lotus flower. 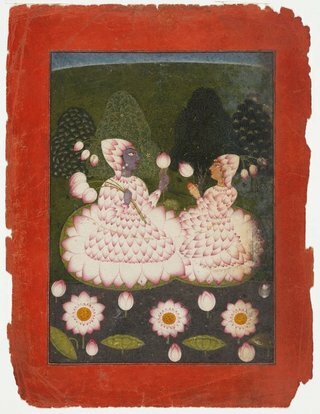 Find out about Radha and Krishna. Are both artworks a good representation these Hindu gods?